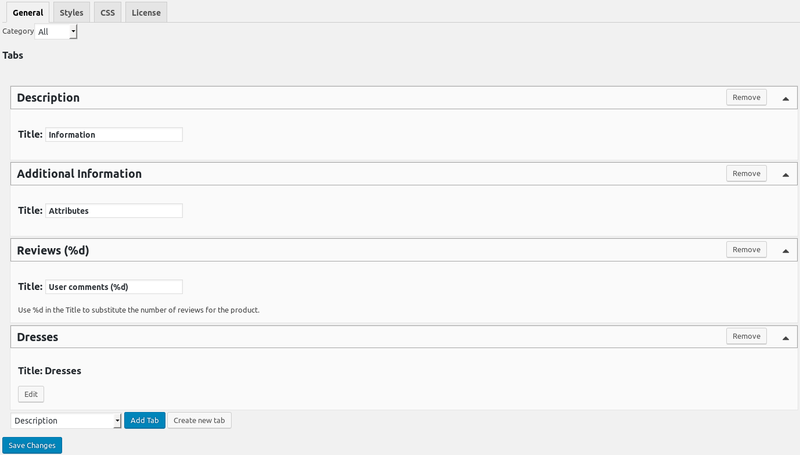 With WooCommerce Product Tabs Manager You can create any tabs for products that you want. With WooCommerce Product Tabs Manager You can create any tabs for products that you want. Create one tab for all products or custom tabs for each products. Sort default WooCommerce and custom product tabs as You want. 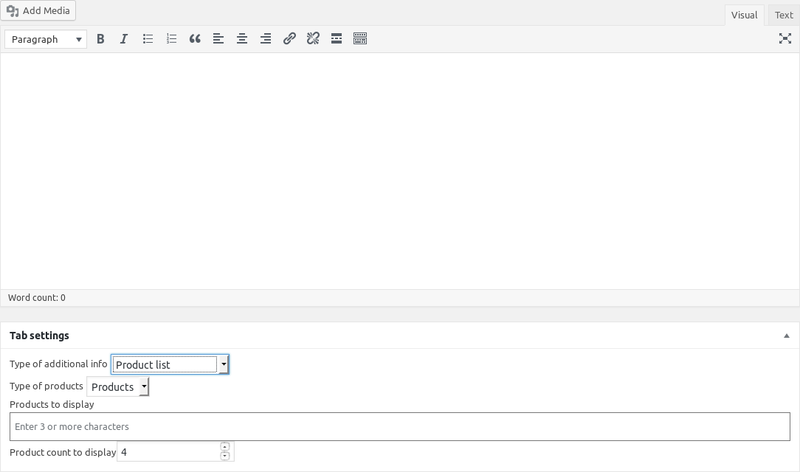 Use WordPress native WYSIWYG editor for create custom product tabs. Provide more information for your customers with one bundle of plugins. Suggest products for your customers. Brands are a guarantee for quality, they assure product recognition in customers. WooCommerce Product Brands will help you to showcase them.